How much does the birthday magic show cost? For instant info about how my birthday magic show, including prices and show description, click this link. Is the kids magic show going to scare any kids? Definitely not! My show is fun for kids all ages. (Even parents!) Not only is my job is to create an amazing and fun experience for your kids, but also to help make your birthday party the most stress free that it can be. Moms wants to have fun too! You don’t need to worry about whether the magician is going to inappropriate for kids. My base market area is the Dumfries & Galloway area as well as Glasgow and Edinburgh. I also travel to Carlisle, (Cumbria region.) Travel/mileage fees may apply in certain areas. What if you’re booked up? What do I do then? Since I’m one of the busiest birthday party performers around, it’s very possible that I could already be booked and not available for the date and time that you need. My job is to make sure you have the very best possible entertainment for your child’s party. Even if I am booked up, I have a list of performers that I would recommend and do an excellent job at your party. How much performing space to you need? Having performed at over 3000 kid’s magic shows, I learned to be flexible and adapt my show to any environment and condition. Many parents, (if the party is at home and not at a venue) have me perform in the living room or family room. Approximately 5 feet by 9 feet is ideal… however I have performed in much smaller areas. I am able to do this because my act is self-contained. I come in with my magic table on wheels and my sound system (if needed) and I’m all set to go. In fact it only takes me about 20 minutes to set up. Some of the invited children’s parents might show up for the show. Are they going to be bored? Absolutely not! I have performed many times for adult audiences as well as kid’s parties. As long as I know ahead of time, I can adapt my show to INCLUDE the grown-ups as well. Both kids and adults will have a smashing great time. That’s why when you contact me, I ask very specific questions about your birthday party so I can provide the most amazing and fun celebration for your child and party guests. Of course when I know the party is going to be for a specific age group, I adapt my programme accordingly. What makes a four year laugh like crazy, a 12 year old will think is boring. Great question! I vary my outfit depending on the age group and the time of the year. Generally I’ll wear festive multi-coloured trousers/matching waistcoat and red shirt that matches my color scheme. Occasionally I’ll wear an outfit that kids expect from a magician, i.e. tux pants, tux shirt, etc. (This is mainly for Christenings, Baptisms, weddings, etc.) I use all sorts of crazy, zany magic wands in the magic show. No magic hat though. It’s an outdated stereotype. Very few magicians these days wear one. When your kids see me, they’ll know it’s going to be a fun birthday magic show. You don’t need someone showing up in an unprofessional outfit or even dressed like a clown. Nothing against clowns, but many young children are afraid of them. Maybe it’s the makeup. I don’t know. What if my child is sick and we have to cancel the party… do I still have to pay the contracted fee? If you have to cancel the party, you will be allowed to reschedule the magic show without any fees or penalties. If the party is not rescheduled, 50% of the performance fee will be required if cancelled prior to 48 hours of the performance date. Any cancellations made within 48 hours of performance date will full payment of performance fee. Yes in most cases, a deposit (varies depending on the total booking fee) is required to secure the date. There may be some exceptions, left up to the discretion of Franc Karpo. You mention how the birthday child becomes the ‘star of the show’. This is great, however my child is very shy. How do you handle shy kids? I totally understand what goes through the mind of a shy child because I was painfully shy growing up. I never force a child to be a helper in the magic show. What usually happens with shy kids is once they see and experience how much fun the show is and how everyone is having a great time, many times they do want to help out. 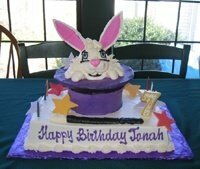 I have had shy kids come out of their shell during my birthday magic show, which is awesome! On occasion I have had a few experiences where a shy birthday child decided not to be involved… they still had an awesome time. I had heard horror stories of other parents who hired entertainment that was late or even didn’t show up. What assurances do I have that this won’t happen to me? Depending on the nature of the event, a deposit may or may not be required. I accept payment on the day of the party in the form of cheque or cash. I even have an on-line credit card (PayPal) option, or bank transfer option if you prefer. The letter of agreement contains all the important information about your child’s birthday party. Date, time, location, type of party package, age group, etc. 5 to 7 days before your party, I send out a confirmation email so if there are any last minute changes we can make them. This also puts birthday party mums and dads at ease knowing that I will arrive and on time. The day or two before the party: If I haven’t received an reply from the confirmation email, I call or text to check in, so you can relax and know that everything is just going to be great! The day of the party: I arrive about 20-30 minutes ahead of the scheduled performance starting time to set up for your birthday party. 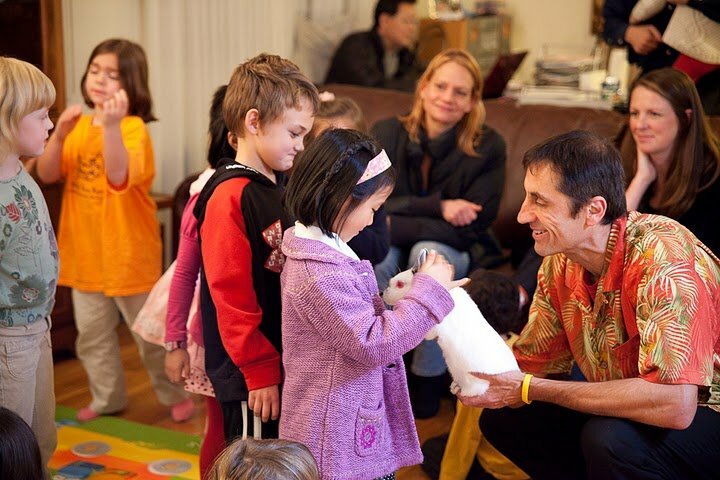 I then deliver a rocking birthday magic show for your kids that’s amazingly fun for everyone and makes your child the ‘STAR’ of the show and makes you look like the best parent in the world! Note: My birthday magic show comes with a 100% Satisfaction Money-Back Guarantee. Simply Click The Button Below, Or Call 01387-216265.